Some succeed because they are destined to, but most succeed because they are determined to." 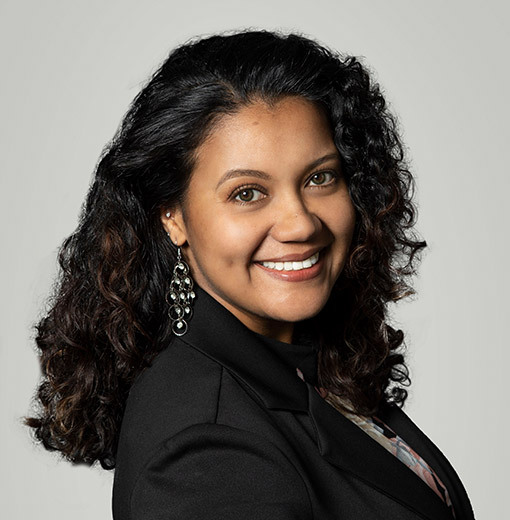 Leilani joined nClouds in 2017 because nClouds’ values echo her own, and she was impressed with founder JT Giri’s leadership and the skills of the organization. She is a dynamic and enthusiastic leader with 10-plus years of sales management, operations, and team development experience in the Technology, Pharmaceutical, Financial Services, and Retail industries. Leilani has managed portfolios exceeding $500 million and has a passion for motivating sales teams to exceed their targets. She has a hugely positive and fun personality that is contagious and contributes directly to successful team and client relationships. Leilani brings that exuberance to everything she does, from public speaking to building great teams to developing new business. Leilani has a BS in Business Management with a concentration in Project Management from the University of Phoenix. When she’s not busy helping nClouds to grow, Leilani enjoys reading, running, swimming, and hanging out with friends and family.